I think we know each other well enough by now that I don’t have to try and pretend. If a dish is easy, I’ll tell you. If it’s quick, I’ll tell you. If it’s healthy, I’ll tell you. This is none of those things. It is, however, worth the effort. It’s a special occasion breakfast to keep in your back pocket, for, you know, if Bradley Cooper stops by for breakfast. It could happen. But really, you can do this. 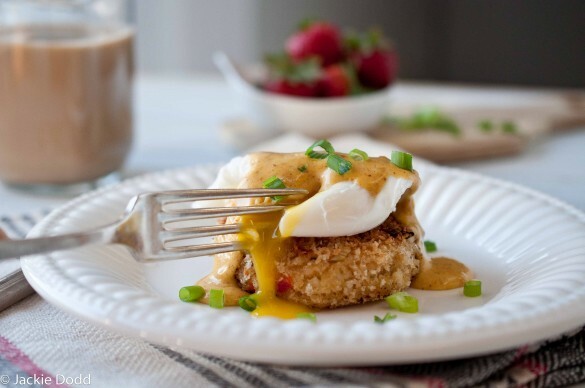 I even gave you a food processor version of a hollandaise, which is SUPER easy, you don’t even have to worry about turning your sauce into scrabbled eggs, which is what I did the first time I tried to make it the traditional way. 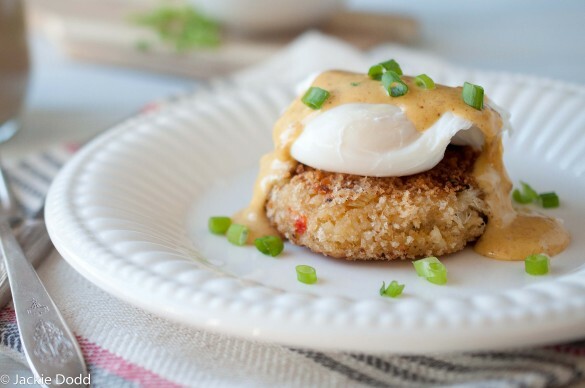 If you want to make this in stages, you can assemble the crab cakes ahead of time, put them on a plate, wrap tightly in plastic wrap and then cook the following day. You can also make the sauce ahead of time, and then reheat slowly in a double boiler. You can EVEN replace the poached eggs with fried eggs to make it even easier. But really, it’s not that difficult. I think all food people have a small stash of items that we buy at Gourmet Food Stores that we save for special recipes. Spices, the good salt in those fancy containers, crab meat, things like that. This is a recipe I found worthy of breaking into my Gourmet Food Store stash. Rare for a breakfast recipe, but this one made the cut. Bradley Cooper stops by ALL the time for breakfast. Totally making this next time. 🙂 But really, I can see that it is 100% worth every effort. So amazing, my friend! I know, right? He is so annoying, just dropping in and demanding breakfast. Such a freeloader, that guy. This looks absolutely delicious and worth every single bit of effort. Your photos have left me totally drooling! Brad just left. I made him dinner. and we did it. So, yeah. BUT UM. bacon hollandaise? My face. I just…want to drink that with a fun stripey straw. 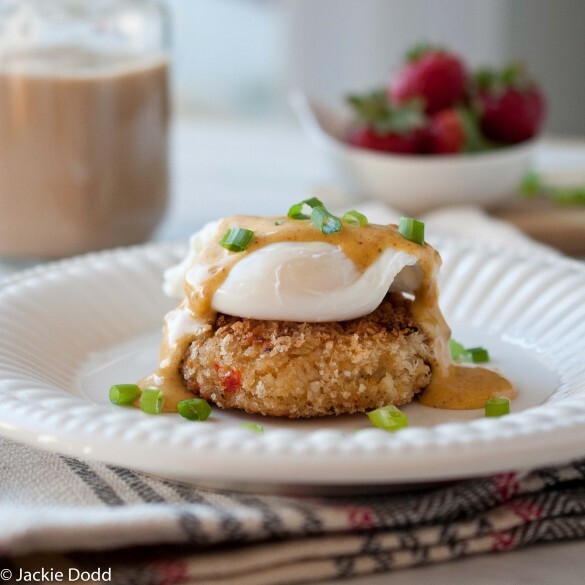 you’ve combined everything i love into one breakfast entree. now if you could add bradley in real life into my entree, i’d make these for you over and over again. I know! Why Is he not available to be a breakfast platter? If Bradley Cooper ever stops by, let me know! I’ll seriously swing by – you know I don’t live that far from you! And yes, I am definitely saving this recipe for a special occasion. 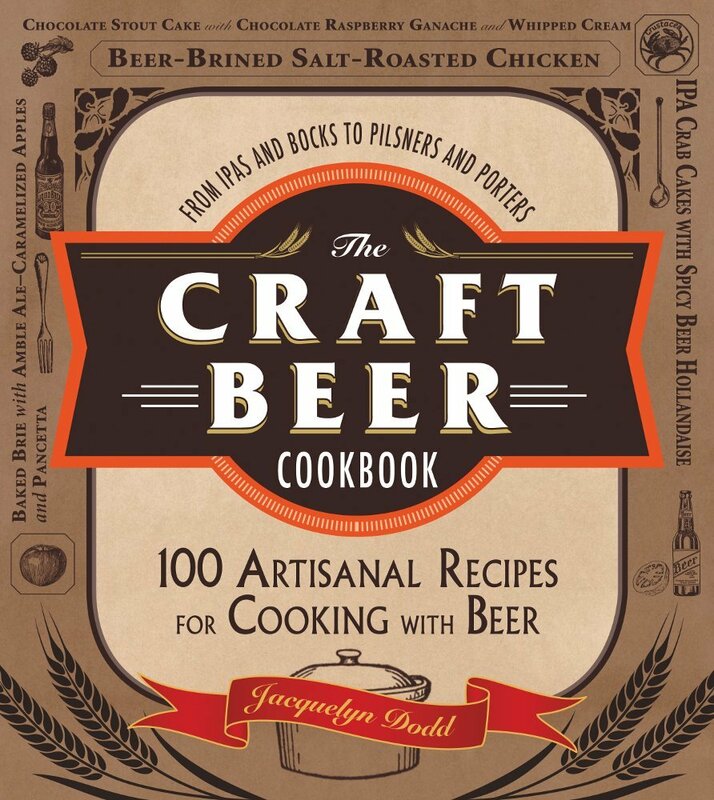 Maybe I’ll surprise Jason by making this for him on our anniversary! This is a great recipe for those special days! Wow, we almost blog collided 🙂 I was going to do a post with a crab cake burger/sandwich whatever I was going to call it, but I went for the Benedict burger. Your hollandaise is awesome! I’m off to Google Bradley Cooper…see ya! This made me laugh because I know people look at my recipes and say the same thing. And yet. I looked at this recipe and thought: wow that looks delicious but too much work. LOL So maybe you should come to my house and we should cook for each other. 😉 Because, YUM. Any post that involves Mr. Cooper and Crab Cakes has my heart… you’ve done it again – I’m drooling! That looks like a great way to start a day! OMG, I felt in love with this recipe. 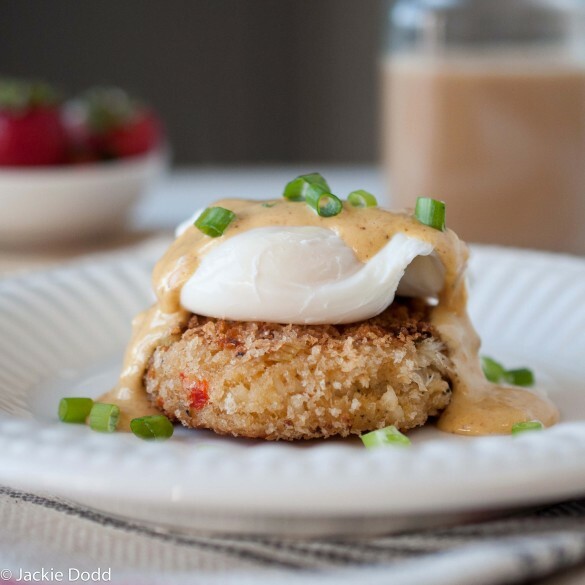 I like eggs a’la Benedict in general, but this version rocks them all. Thank you for this spectacular breakfast!